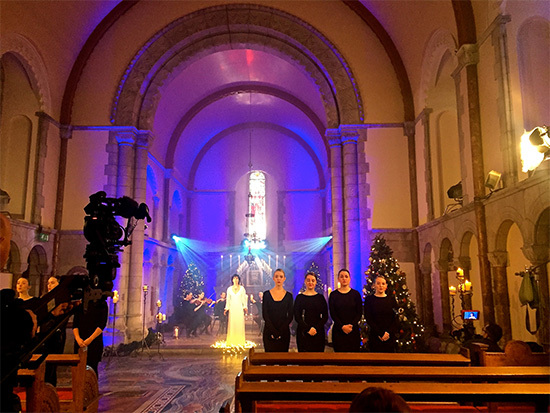 Rosie’s long standing relationship with ENYA has taken her all over the world, but last week they were in Cork, Ireland, to record a performance of three songs for the RTE, due to be aired on Christmas Eve and Christmas Day. 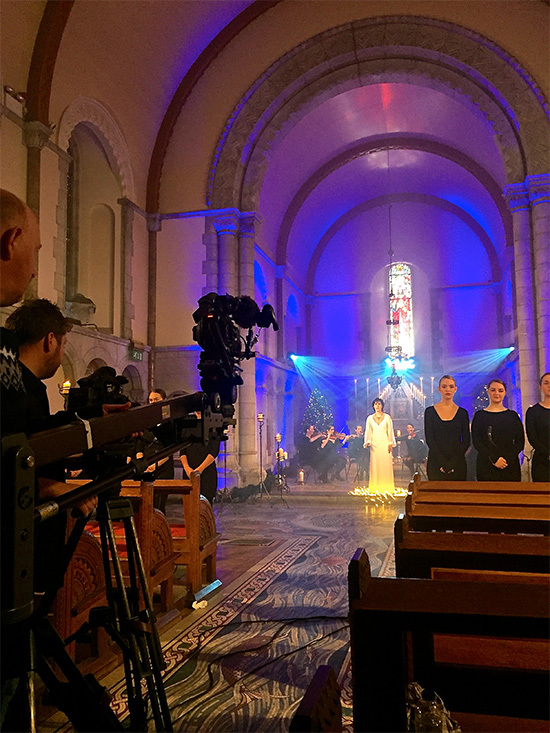 The shoot was filmed in the Honan Chapel in the Cork University grounds, famed for it’s stunning stained glass windows and incredible mosaic floor. ENYA was backed by a small choir and string section.